As a lifelong saltwater angler, an annual invitation to travel from my home in S.C. down to Florida to go fishing is a welcome one. 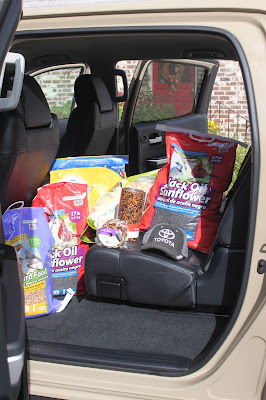 My own Toyota Tacoma pick up truck has made this same trip for many years, but the opportunity to test drive a new Tundra pick up this year added flavor to this sporting adventure. The 2017 Toyota Tundra 4 x 4 Limited Crewmax model is a full-size truck, but it drives like a dream when plowing eight-hours straight down I-95. The Quicksand color on this truck is easily my favorite color in the auto market these days, and men wonder why it took so long for this 'muddy' look to come standard on a truck. One thing I really like about this truck is extra capacity 30-gallon fuel tank. I filled the gas tank up in the Lowcountry, and the dashboard readout stated that I could go 460-miles on that one tank of fuel. This 2017 Tundra model is rated for 15-miles per gallon in town, and 17-miles per gallon on the road. My own records indicated that I averaged 16-miles per gallon on the highway, allowing me to drive my entire route to South Florida without once having to stop for gas. Less stops means more time relaxing in the Florida sunshine, and less time revving up, going down the highway. The 5.7-Liter I-Force V8 engine on this model has 32-valves and can run on E85 Flex Fuel. It has a 6-speed automatic transfer with sequential shift, and electric-controlled 4-wheel drive on demand. A double-wishbone front suspension with stabilizer bar, towing package and power-assist 4-wheel disc brakes makes this a reliable truck, whether towing a dump trailer for work or a boat trailer for fishing. The rear back-up camera is nice when parking at the grocery store because the size of this truck can demand every square foot in a traditional parking space. The leather trim inside the truck and the Entune navigation and audio control with touch-screen makes this truck seem a little more refined than most. In other words, once friends and family climb in, they will want to go for a ride! While in South Florida I lodged at the River Palm Cottages and Fish Camp in Jensen Beach, where saltwater fishing awaits with private dockage right on site. The natural areas found in the Savannas Preserve, part of the Florida State Parks system, also caught my attention. This area preserves what these east coast savannas used to look like stretching from Fort Pierce to St. Lucie. This area of South Florida showed no ill effects after Hurricane Matthew in 2016 and Hurricane Irma in 2017, except for maybe some leaning trees scattered along the landscape. 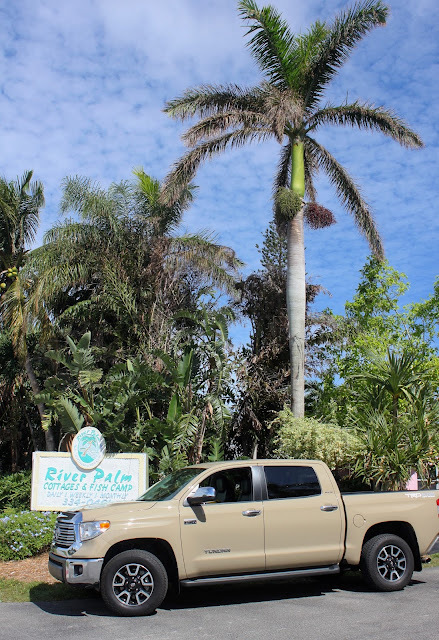 I found the fishing to be good in the Indian River Lagoon, the sights and hiking trails to be great in the Savannas Preserve, and the entire region to be open for business as they head into their peak winter season with snowbirds and tourists coming down in droves. I may have been a little tired when departing, but the 2017 Tundra made the return trip seem easy, and sitting upright in my captains chair with the cruise control on and my feet planted flat on the floor beneath me was especially comfortable. Yes, the fish were biting!! 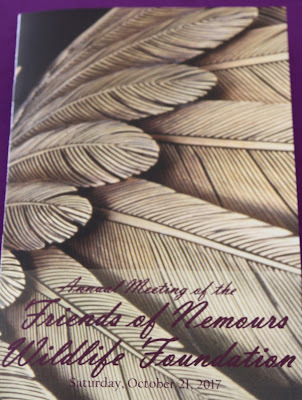 The Nemours Wildlife Foundation is based at Nemours Plantation in the ACE Basin, situated in Beaufort County at the intersection of the Combahee River and Highway 17. Each year their Board of Directors invites a guest speaker to educate others about their own outdoor experiences, reinforcing the legacy of Eugene Nemours duPont III who founded this 10,000-acre conservation experiment. Renowned sculptor and wildlife artist Grainger McKoy grew up in Sumter, but his considerable talent for carving avian life allows him to fly into the rarified air of being in demand on an international scale. The weather on Saturday October 21 was sunny and bright, with unseasonable warm temperatures. Board President and CEO Ernie Wiggers gave an update of activities at the Nemours Wildlife Foundation. He recognized two professors from Clemson in the audience, Greg Yarrow and Bob Jones, before announcing the creation of a new scholarship. “The Eugene and Laura duPont scholarship at Clemson University will go to an intern working in the field of wildlife conservation,” said Wiggers. Speaker Grainger McKoy approached the podium and quickly found out that first page of his lecture notes corresponding to his slide show were missing. Like a bird taking flight, they were simply gone, and he closed his eyes briefly and then launched into an engaging tale about his life. When his hour-long talk concluded, including inspirational stories and anecdotal notes, one patron told me that Mr. McKoy needs to lose his notes more often! 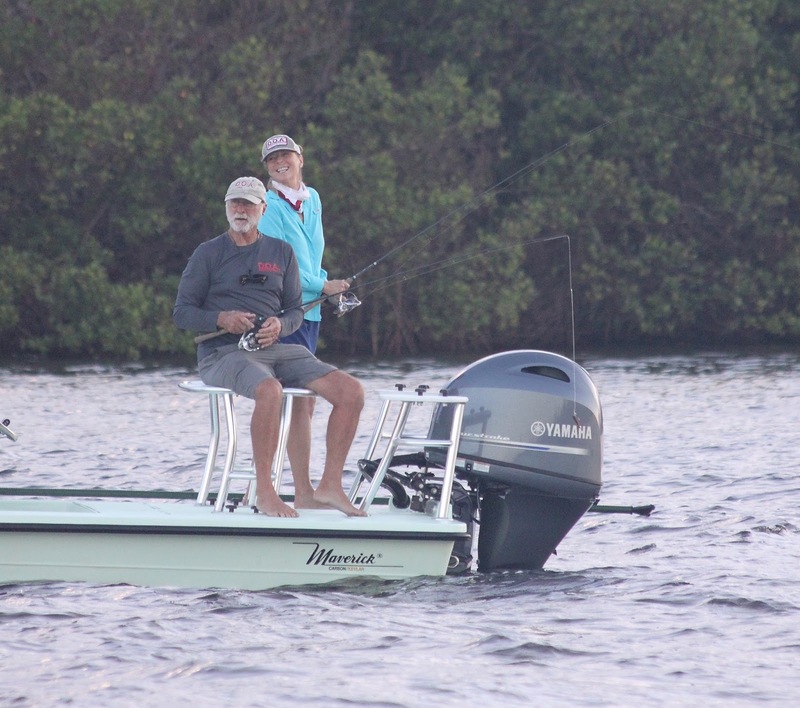 At daybreak on Day Two of the annual outdoors writers festival we could tell immediately that the wind has switched around, causing the surface of the water to be rough and not conducive for a topwater bite. Several boats sat tight looking for a tarpon at Big Mud Creek by the power plant, and while the tarpon were present and rolling, they were not biting. A school of jacks pushed up the edge of the nearby mangroves and we caught a couple of these eager beavers on our DOA Lures, and then everyone pushed on searching for some new water to look at. After an hour or so with no luck at all while casting towards the mangroves, we decided to make a run back to where we found some fish the day before where the pelicans were diving on bait. Boy were we glad we switched locations because before long we caught some decent trout and I caught my only snook of the trip. All of the bites came when the CAL jerk baits were falling or either on the bottom, since the opportunistic fish were feasting on injured baitfish, and the pelicans continued to pound the water right next to the boat. How we didn't catch a flounder in this set up I don't know! 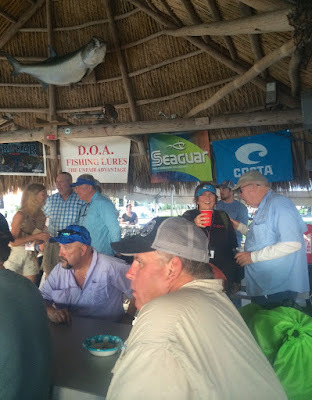 The 18th annual DOA outdoor writers festival on the East Coast of South Florida did not miss a beat in 2017, with a Can Do attitude from saltwater guides that came to fish the mangroves up and down the Indian River. 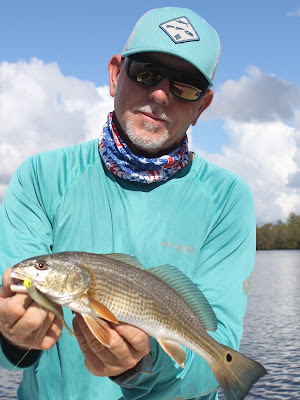 The fishing conditions on Day One were flat calm and our group of anglers put in at Little Mud boat ramp and fished the nearby inlet at dawn, and while a decent topwater dust up was going on, we did not get any strikes. The forecast was for tough fishing and I was very fortunate to be paired with Captain Andy Cotton, a determined redfish tournament angler from Sarasota. 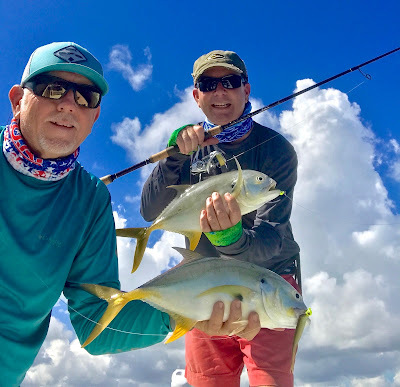 He simply would not take NO for an answer from the fish, and we went on to record eight species of fish including snook, redfish, trout, mangrove snapper, jack crevalle, barracuda, ladyfish and a catfish. All our fish were caught on CAL jerk baits by DOA Lures. It was especially gratifying for this blogger to return to DOA camp after missing the 2016 event due to Hurricane Matthew hitting the Lowcountry. I can report that the Port St. Lucie area looks to me like it suffered very little ill effects from both Matthew and then from Irma in 2017. But the locals told me that they have grave concerns about the Florida Keys after Hurricane Irma, regarding the degree of damage found there. The increased precipitation from these tropical systems over the past few years has kept Lake Okeechobee full, and runoff from that Lake continues to pollute and degrade the fishing at the St. Lucie Inlet. I am sorry to report that the fishery here remains under duress, and it is not clear when relief will be coming. Until then, we can rely on Mother Nature to stay the course and bring the marine life back to previous levels. One positive sign is that baitfish were thick this year, and whatever fish are present should be growing stronger with each day with this ample food supply. 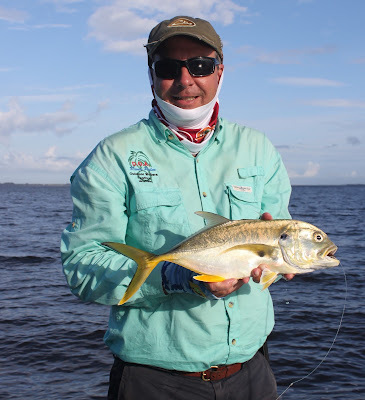 Captain Mark Nichols is always keen to thank his longtime sponsors for sponsoring the event including Costa sunglasses, Danco pliers, Eagle Claw Hooks, Shimano reels, Hummingbird / Minn Kota, Engle Coolers, Tailin' Toads, Hoo Rags, and the DOA staffers like Capt. Ed Zyak that hustle to complete all the final details. An attitude of teamwork permeates this crowd of outdoor industry veterans (and a few newbies) so that when we deploy onto the water to chase some fish with the artificial lures dubbed Deadly On Anything, everyone knows to share information so that the storytellers and photographers can have the best chance to get on some fish. For example, the fishing was tough and when Capt. Cotton spied diving birds we made a run toward that position to probe it for fish. After a productive drift that yielded a mixed bag, we called Capt. Rick Grassett and writer Ron Pressley to come on over and supplied the exact lure and color that we were having success with. This buddy system takes place over and over at DOA camp, and I am very heartened to share that this is event is catch and release only, always allowing for the fish to get bigger and to teach others to cherish this precious ecosystem that needs our stewardship now. When Kiawah Island was purchased by the Kuwait Investment Company for the purpose of development and growth, an extensive environmental inventory of the island was recorded in 1975. Eventually Kiawah became locally owned again, and with the barrier island’s ecosystem already identified as extraordinary, the local residents embraced a long-term vision regarding habitat protection. 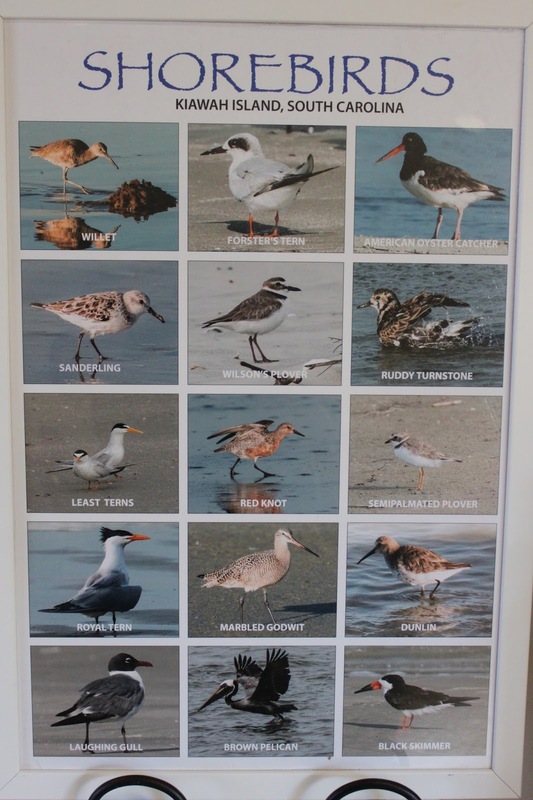 Today the Kiawah Conservancy conducts outreach programs about wildlife found on the island from alligators to bobcats, and their recent shorebird symposium salutes the little brown birds that briefly stopover on their beach to rest and recover during migration. 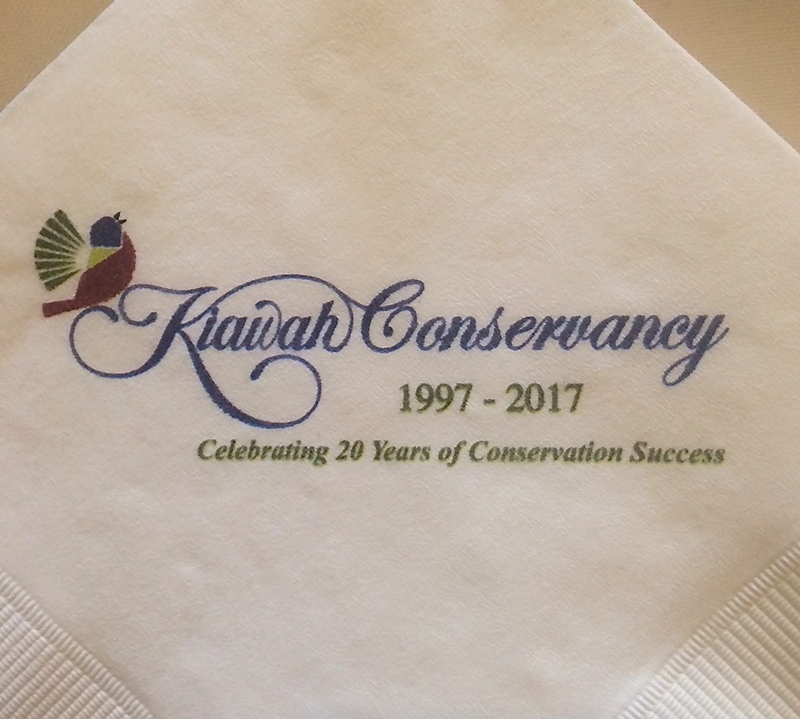 Other facts about the Kiawah Conservancy include that 2017 marks the 20th anniversary since their founding in 1997. And their land procurement goals are getting more serious, achieving national accreditation by the Land Trust Alliance in 2017. During its 20-year history, the Kiawah Conservancy has preserved 36 properties that total over 348-acres of pristine barrier island habitat. 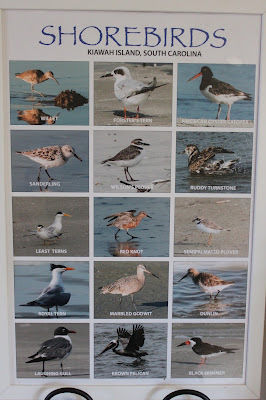 A map of their protected properties on the Internet at www.KiawahConservancy.org shows that some properties are literally single home lots, and others are swaths of marsh and coastal zones that are precious to wildlife. Congrats on 20 years of conservation!